Hams Hall Distribution Park is in a prime location close to Junction 9 of the M42 due east of Birmingham. The landscaped surroundings and modern office buildings offer an unrivalled environment in which to develop your business. Key occupiers are BMW, Sainsburys, Beko, DHL, Kuehne & Nagel, Accident Exchange, Plastic Omnium and Expeditors. 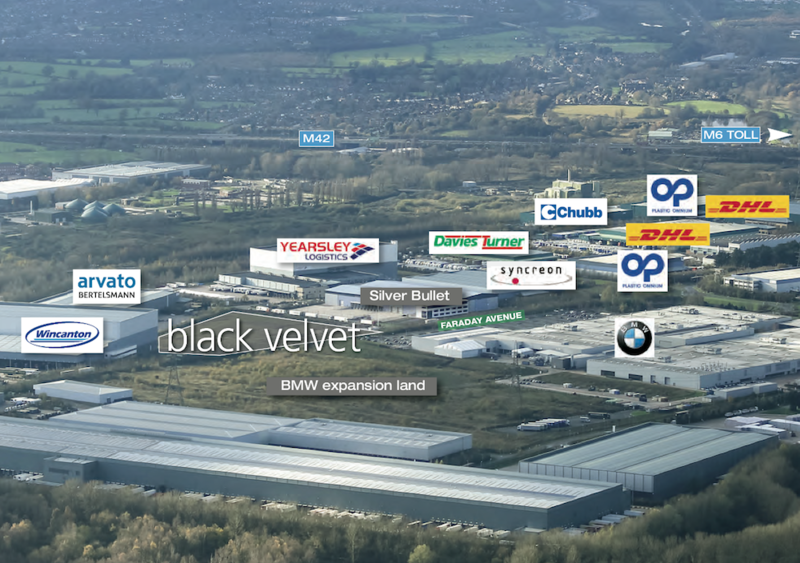 Black Velvet is the last remaining plot with planning permission in the business park.